Optional Transport Collar makes for easy transporting of full food insert from kettle to storage. 22 colorful product cards included with each unit. Power up your soup cooking with the 800-watt Glenray® Premium Kettle. This versatile 10.5 qt. soup kettle rapidly heats product to cooking temperature so you can cook, heat, retherm, hold and serve all in one kettle! Each kettle is shipped with a stainless steel food insert, stainless steel hinged lid, stainless steel ladle and product card. Choose black or stainless steel finish. Get the power of a Glenray® Kettle in a smaller package with the new Glenray® Mini Warmer. Use Tomlinson’s Glenray® Mini Warmer for niche items with a small but devoted following. The Glenray Mini provides the fl exibility to try new things in smaller batches, test market it, and expand your customer base! Enjoy greater control in portioning out cook/chill items and make smaller batches of scratch items. 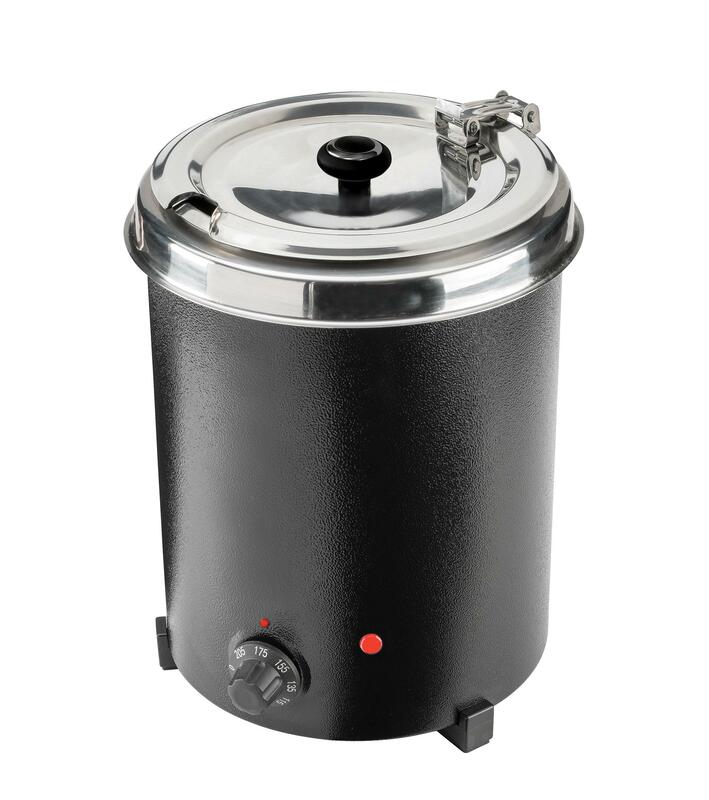 The mini warmer also goes places full-size kettles and warmers can’t, meaning smaller operations can offer soups, stews, sauces, gravies, and dips while occupying a dramatically smaller footprint. Available in either black powder-coated steel or stainless steel body. NSF certified for hot food holding and rethermalization. The Glenray® Soup Kettle is a 10.5 quart (9.9 litre) commercial soup warmer and holding kettle featuring adjustable temperature control, stainless steel hinged lid and a durable steel shell. Each soup kettle/soup warmer, great for restaurant use, is shipped with a stainless steel food insert and product cards. 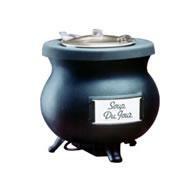 These soup kettles are available in black and stainless steel. The Frontier II Kettle® is the replacement soup kettle for the Tomlinson Economy Frontier Soup Kettle. 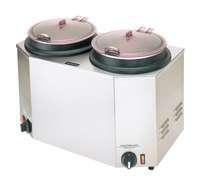 These electric soup kettles feature fast heat up and are NSF listed for rethermalization. 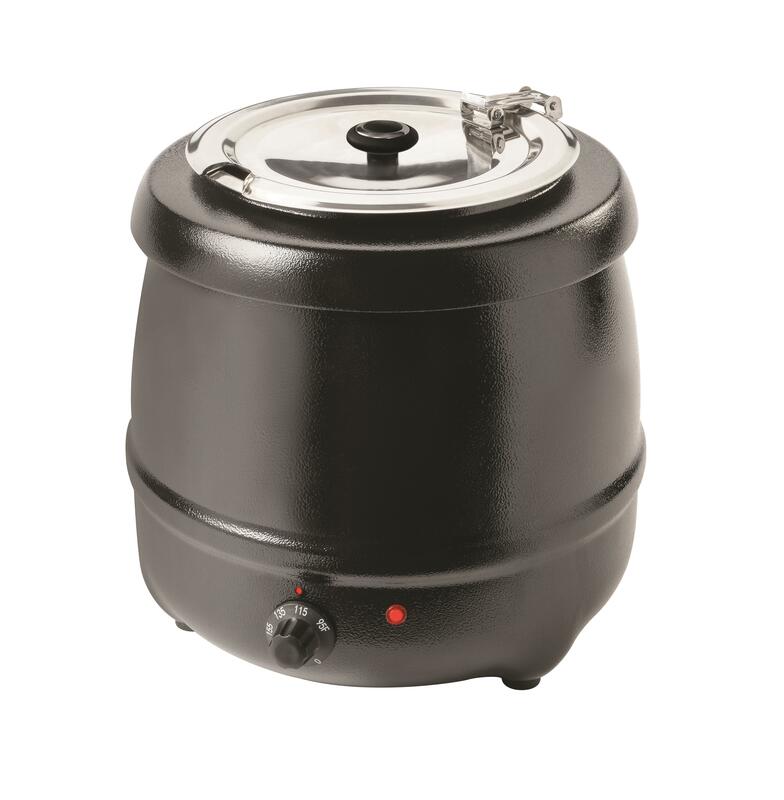 The soup kettle also has a durable powder coated black steel shell, adjustable temperature control and hinged lid. It is shipped complete with a 8 or 12 quart (7.6 or 11.4 litre) stainless steel food insert and product cards. 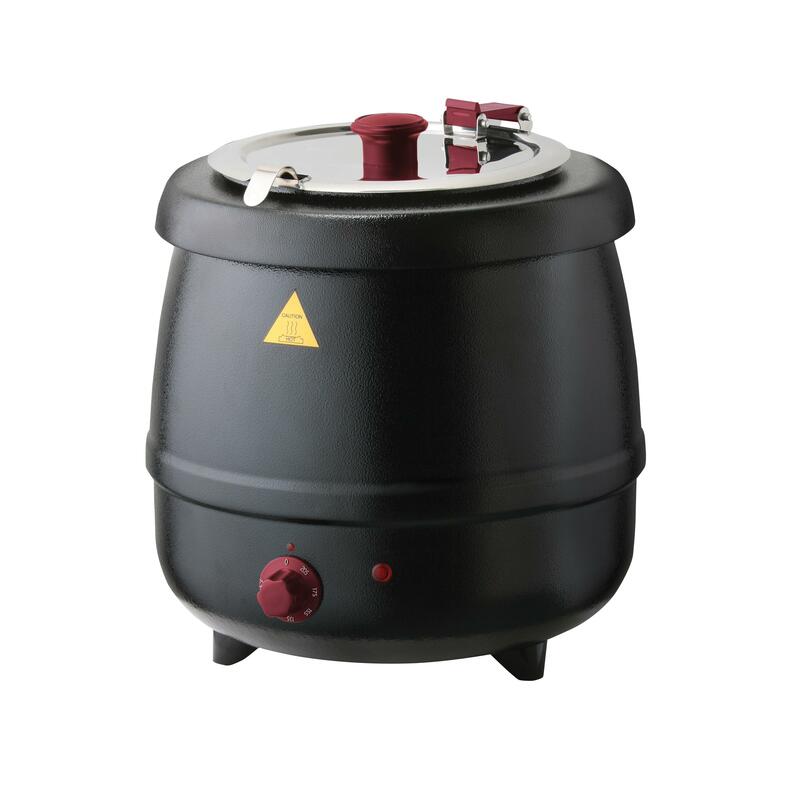 These commercial soup kettles are available in 120 or 240 volt. 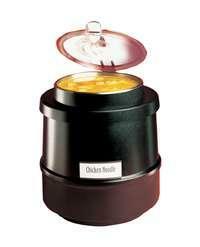 Use this soup kettle/soup warmer for other hot food items in addition to soup products. Shipped complete with product cards. Dishwasher safe hinged lid assembly.